Are you tired of hearing people say the only constant is change? I think we all need to keep saying it to remind ourselves we have to always be ready to keep changing. Here’s the rub: how do we make change stick? How can you, as a project manager, use your skills to create business processes that have staying power? Let’s face it: sustainability today is really about adapting to change and being able to be effective in the face of change. I’ve now weathered several business cycles as an entrepreneur, and I have found my project management skills to be invaluable as I’ve tackled change and made positive changes in my own business. Here are seven tips to make change stick. Part of your job as a project manager is to make sure people not only know where you’re going, but that they also understand why they are going there. What’s in it for them? Why does this change matter? Why does it lead to something positive? Think of yourself as the Chief Change Officer on your team. Don’t just say: “We have to change this process.” Explain why, and make it compelling. Make sure people can see what success looks like. 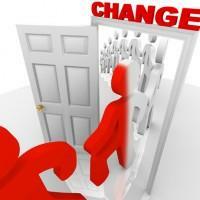 If your change initiative is successful, what will the outcome be? Show your team what the result will look like. Think before and after pictures. We are all suckers for those! ‘Change fatigue’ is a normal part of any process change, so be ready for it. When you start to see people slacking on their goals and rolling their eyes in meetings, you are there. Shake up assignments. Assign new team leaders to different tasks. Do a team-building exercise that gets the creative juice flowing again. Celebrate the successes you’ve already accomplished. Use the old red thermometer technique to show the progress you’ve made and how far you need to go. If your team sees that leadership no longer cares about this initiative or it is off their radar screen, they will lose interest. It’s your job as a project manager to keep your leadership team up to speed and excited about what you are doing. Nothing stalls change more than large fluctuations in budget. Keep your budget levels consistent so your team can manage its resources accordingly. When business process change lasts for over a year, you need to continue to clarify accountability. If resources change or people’s responsibilities change, then revisit the project plan and focus on the accountability for activities and goals. Once you’ve reached your milestones, look at how you are going to make this change permanent. What are the ongoing resources required? What can be automated? How will you measure the ongoing ROI and impact? What are the pulse points you will regularly look at to make sure your business process is thriving? Change is only as intimidating as we make it. Use your project management skills to not only manage it but to make it stick, and give your organisation the change it desires.